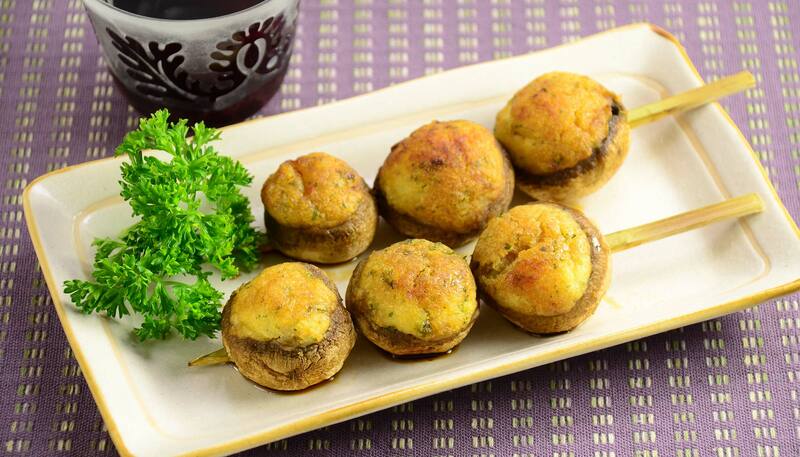 Juicy mushroom caps stuffed with classic parsley mashed potatoes, roasted to perfection. 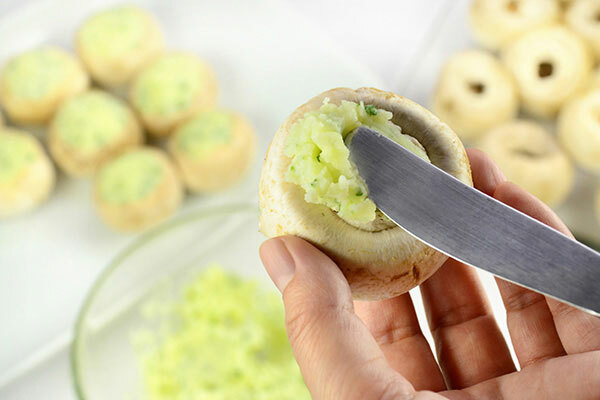 It's a dish full of savory goodness and a fabulous appetizer that's easy to make! Make the glaze. 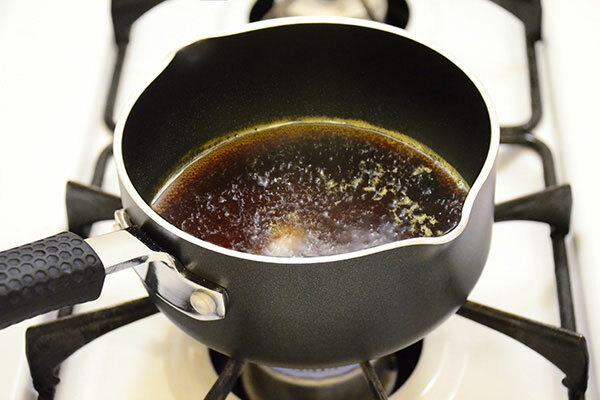 In a small sauce pan, place soy sauce, mirin, and sugar. Stir and bring to a boil, then simmer for 10 minutes or until reduced to 1/2 of amount. Set aside. 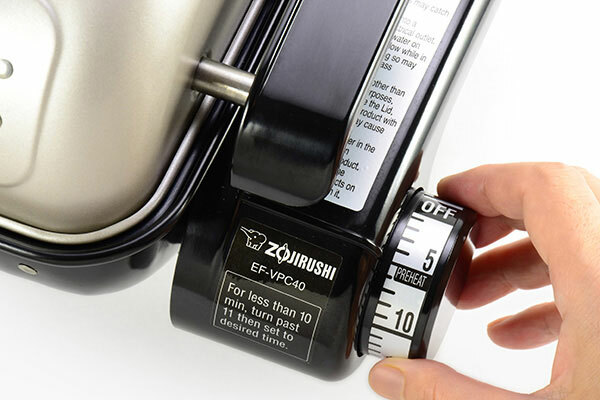 Make the mashed potato. Peel and dice potato into large pieces. In a medium pot add water, salt, diced potato and bring to a boil. Cook for 10 minutes or until tender then drain. 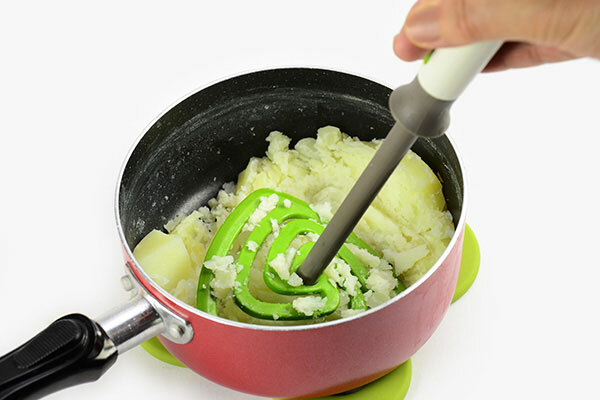 Mash the potato with a potato masher and set aside. 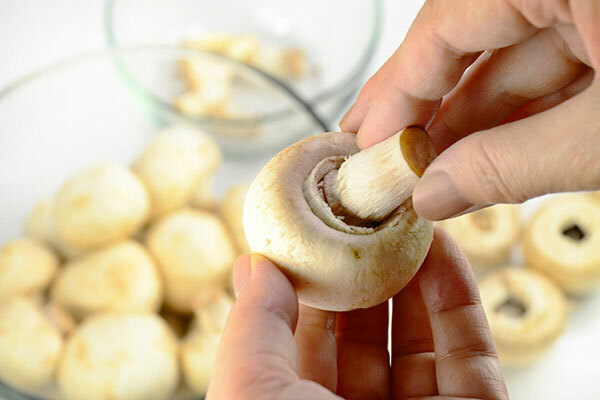 Remove stems from mushrooms and reserve for another recipe. 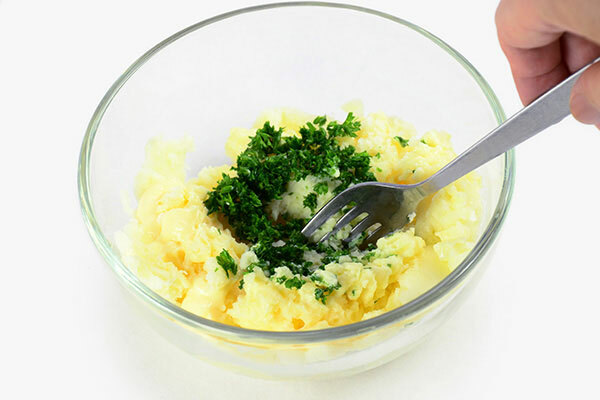 Mix mayonnaise and parsley to mashed potato and mix well. 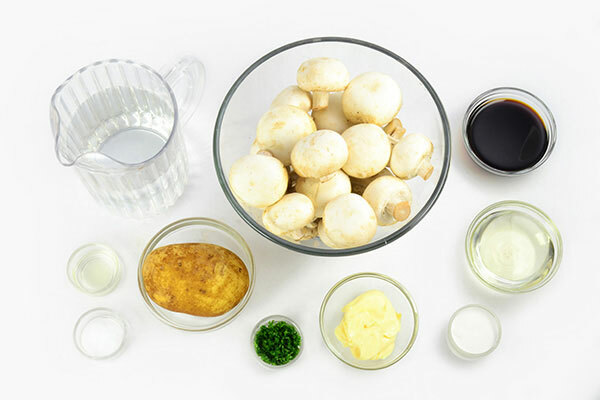 Stuff mushroom caps with potato mixture. Thread three stuffed caps onto each skewer. 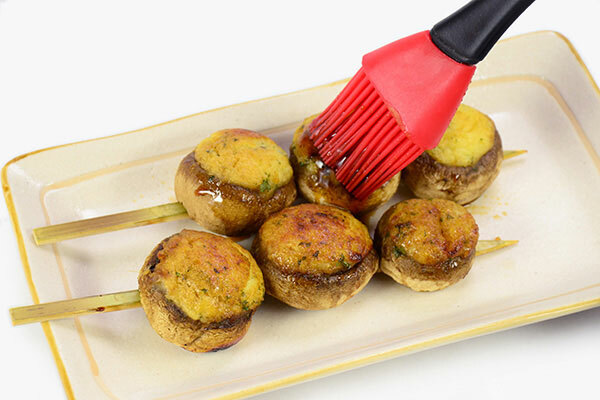 Brush half of the glaze on the mashed potato stuffing. Reserve the remaining glaze. 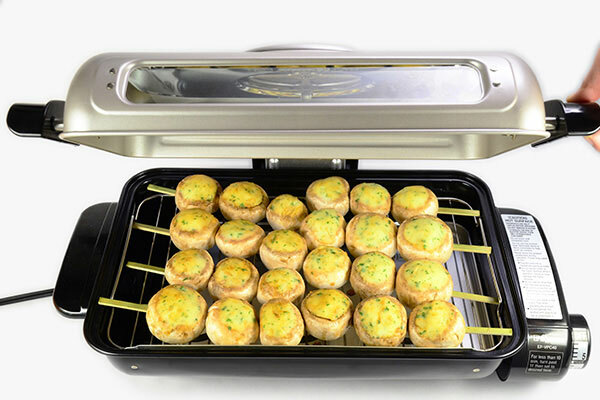 Add water to the Fish Roaster's water tray, set rack to the standard height and preheat for 5 minutes. 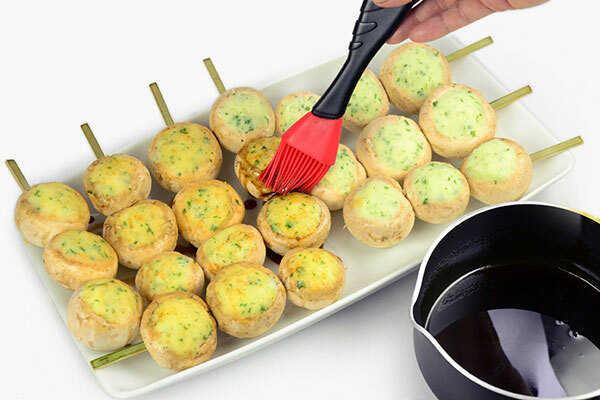 Oil the rack with a brush (Be careful of the hot lid and rack.). 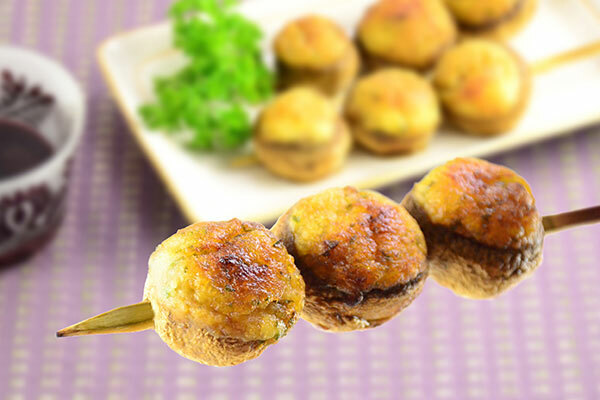 Place mushroom skewers and cook for 14-16 minutes or until surface turns brown. 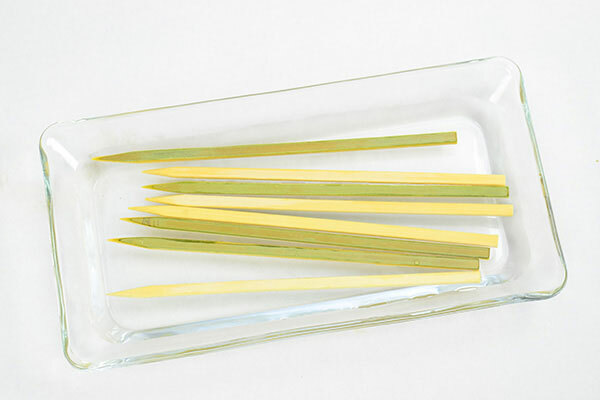 Plate skewers, brush top with remaining glaze and serve while hot.